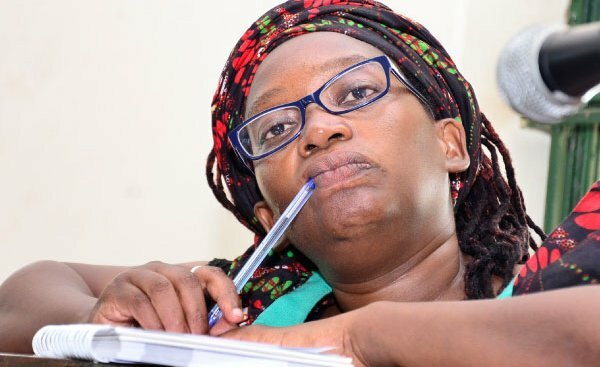 KAMPALA – Justice Lydia Mugambe of the High court Civil Division has ordered Makerere University to pay costs to Dr Stella Nyanzi for failing to file their reply on time in a case she dragged the entity for refusing to reinstate and promote her as a senior researcher as per directed by the tribunal. In November, Nyanzi sued the institution for failing to abide by the university tribunal orders which also declared that her suspension was illegal. The case had come up for hearing on Tuesday, but, it did not go on after Nyanzi’s lawyer Isaac Ssemakadde told court that Makerere had served him with their response 30 mins to court and he needed more time to respond. Mr Hudson Musoke, Makerere’s lawyer told court that he was notified on Monday, December 10, about Nyanzi’s application. However, upon checking court records, Justice Mugambe found that Makerere University was served on November, 20th, 2018. She then ordered the university to compensate Nyanzi for delayed trial and justice since court had expected to proceed with the hearing. The judge has also issued summons to the Director of Human Resource at Makerere who will come to court for cross-examination, on the evidence he tendered in his sworn in an affidavit opposing Nyanzi’s application. In her petition, Nyanzi claims that the orders included her reinstatement to her office as a research fellow at the Makerere Institute of Social Research, payment of her salary, benefits and emoluments due to her by virtue of her employment with the university and considering of her long overdue application for promotion from the post of Research fellow to senior research fellow which has been ignored. Nyanzi also says there is no response to her letter despite the fact that its receipt was acknowledged by the University Secretary and the Directorate of legal affairs on October 23, 2018, and the director of human resources. Nyanzi, a mother of three school-going children, an accomplished medical anthropologist and a post-doctoral researcher says she needs her job because of her responsibilities. The researcher has since been in Luzira prison for posting a loutish birthday poem on Facebook where she allegedly attacked the late mother of President Yoweri Museveni. The matter shall return on court on January, 9th, 2019 for further hearing.